Move Over Smokey Eyes: 10 Two-Toned Eyeliner Styles To Try NOW! When is comes to dramatically done up eyes, eyeliner definitely has a huge role to play for fabulous results. 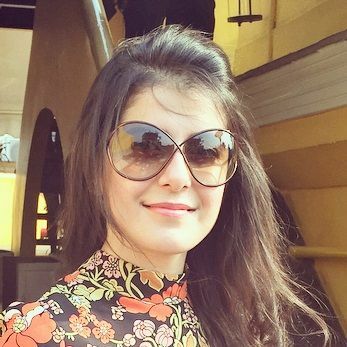 And while smokey eyes have been an all-time favourite, various new eyeliner styles, the two-toned one in particular, are all the rage nowadays. 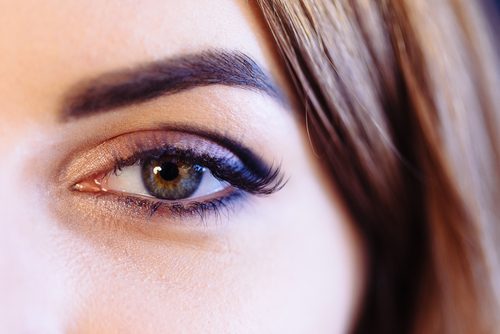 So, ladies, up your eye game as you swipe on these 10 stunning two-toned eyeliner styles. This dotted, confetti-like eyeliner style is absolutely stunning, isn’t it? The purple base on the eyelid and the blue, pink, green and yellow dots on it make it so colourful and dreamy looking. 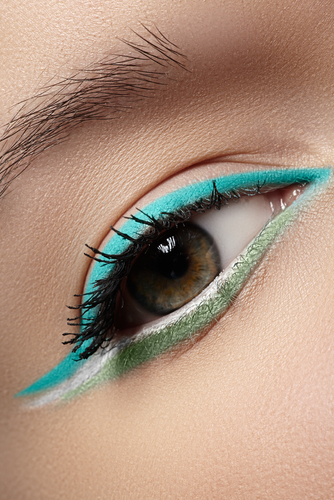 The contrasting white liner on the lower waterline is so in-sync with the 2-tone trend. Try it the next to you go to a party and be ready for all the compliments. This is easy to do and so eye-catching too. An electric blue eyeliner goes all along the lashline, and a sea blue stroke just at the outer corner, extending outwards. Simple, and so stunning - we like what we see! If you don’t want to experiment too much with your eye makeup, this is the style to go for. 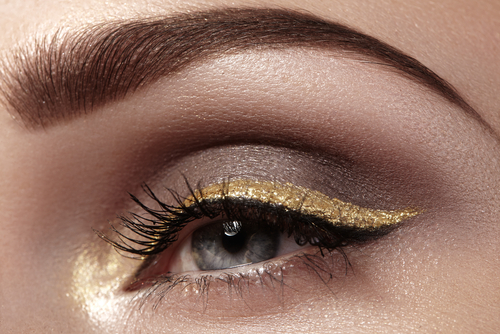 A classic winged black eyeliner on the eyelid, and a shimmery line along the waterline to match the eyeshadow. Mesmerizing much? These matte hues are love at first sight! The subtle green at the bottom and the bright blue on top makes for an eye-catching look. The white liner on the waterline help make the eyes look bright and really brings out the contrasting effect of the colours used - this will make for a perfect day look. Give it a shot, we say! Who knew silver eyeliner could look so amazing?! 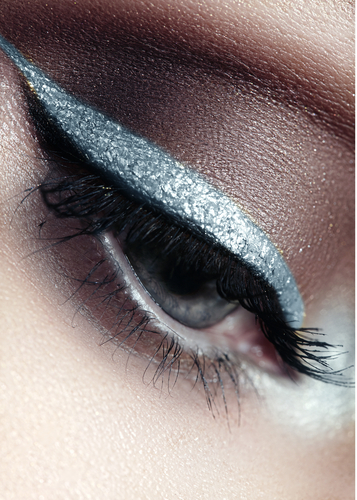 A basic black eyeliner, with a thick silver one to go along - now that’s a look worth experimenting with. The shimmery finish only adds to the entire eye look. Just a short white stroke at the outer corner of the eye going along the winged black eyeliner - an easy look and something so different too. Time to get a white eye pencil, ladies. Such a striking eye look, right? Black liner on the eyelid and a shimmery blue below the lower waterline is just the look to go for when you’re getting ready for a night out on the town. The midnight blue shade will make your eyes pop too, and who wouldn’t like that?! You don’t need to use 2 totally different colours to nail the trend, different shades of the same colour are also such a stylish take on this eyeliner style. Line your eyes will a purple eye pencil and make it darker along the crease. A shaded look like this one will look amazing and one that will get you so many compliments! Glamorous is the word... A black eyeliner and a parallel line in shimmery gold - this look should be saved for an important occasion, ladies. When we say eye-striking, that’s the look we’re talking about. Now that’s an eyeliner style that will look good on everyone. 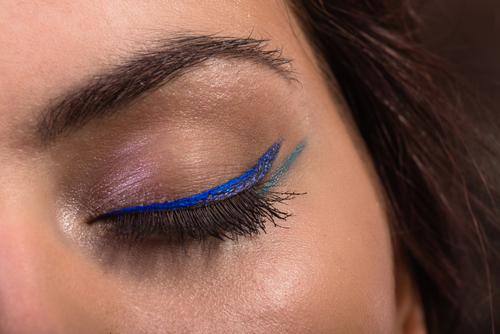 The smokey eyelid, accompanied with a bright blue line below the waterline is an absolute must-try.